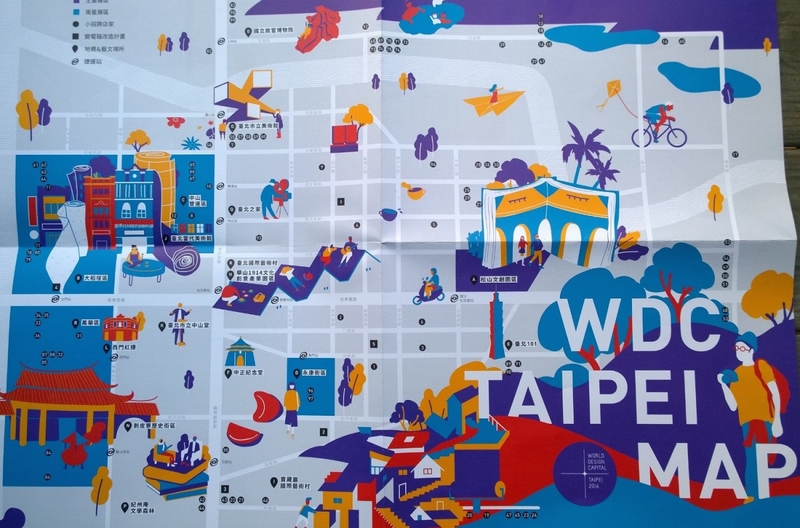 Helsinki participates from 13 to 30 October in one of the main events of Taipei’s World Design Capital 2016 year, International Design House Exhibition, that focuses on improving the city with design. Anu Mänttäri, who is business development advisor in City of Helsinki, captured the exhibition for Weekly Pics. The concept, a constantly evolving construction of the City of Helsinki was designed by Finnish designers Elina and Klaus Aalto. It had various different meanings and layers to it. Something people related instantly was that a city is a structure but it is eventually the people, their ideas and creativity that make the city. I must say I can hardly wait to see how it turns out by the end on the month! Read more about the space on Elina Aalto’s interview. 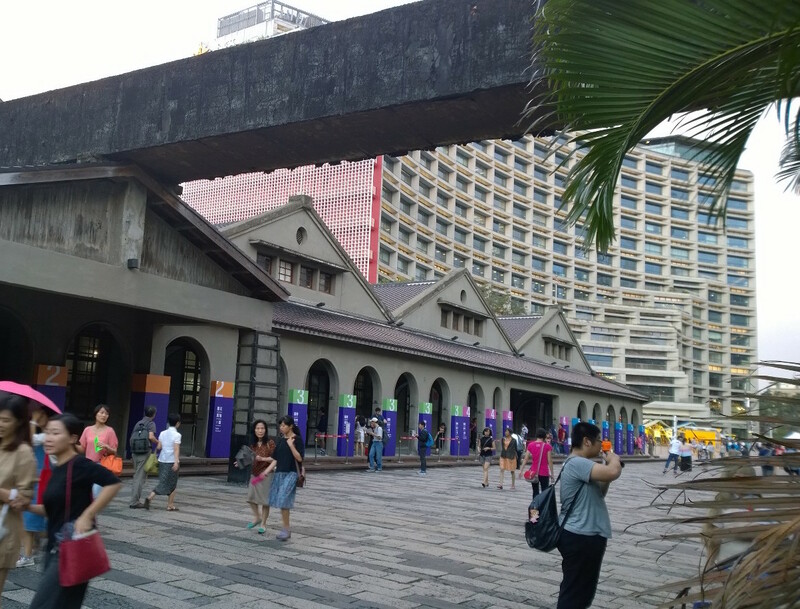 The exhibition takes place in a magnificent Songshan Cultural & Creative Park, which was initially constructed in 1937 as a tobacco factory. Being a World Design Capital stretches a way beyond the year itself. It creates possibilities to learn and share experiences with other similar cities. Being invited to attend to the other WDC cities high moments is a wonderful opportunity to capture the current status and mindset of the city. The national Finnish design identity is the backbone when explaining how design is at the moment part of building a better city in Helsinki. The timeline on the wall showcased few examples that have affected the way in which the city of Helsinki uses design today. 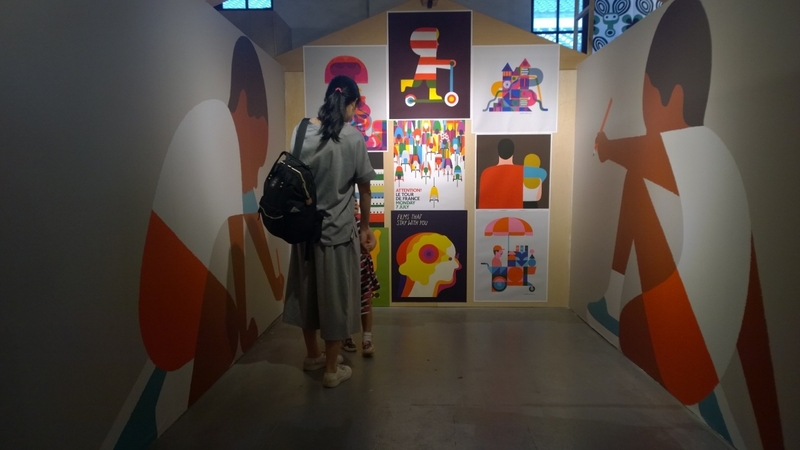 For the first time the theme “New School Helsinki” was used to express the way design has been shaping our society and what are the latest solutions and choices made in Helsinki in the field of education. The concept’s graphic design was by internationally reknown, Helsinki-based brand design agency Werklig. As the Finnish education system has proven to be one of the best in the world, there is a lot of speculations on the key ingredients. One major thing is creativity. The way we nurture the natural curious mind of children and create an atmosphere where they want to learn. At the exhibitions other people needed to be tempted and some just jumped right into it. Everyone left with a big smile on their face. 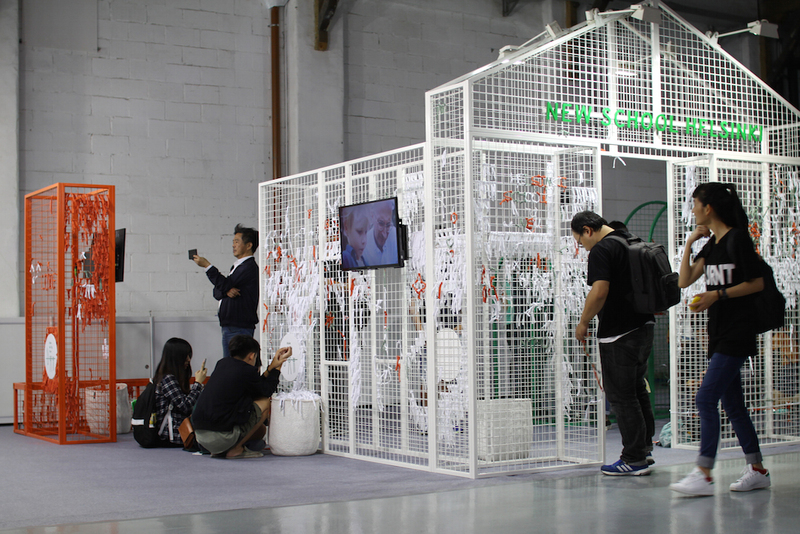 The couple of days I spent at the exhibition stand I got to meet a lot of people and see for myself how the concept was perceived. A lot of people wanted to continue someone else’s pattern or idea. Some shapes that started to emerge in couple of days were filling in a gaps in the structure, the no mans land in the city. 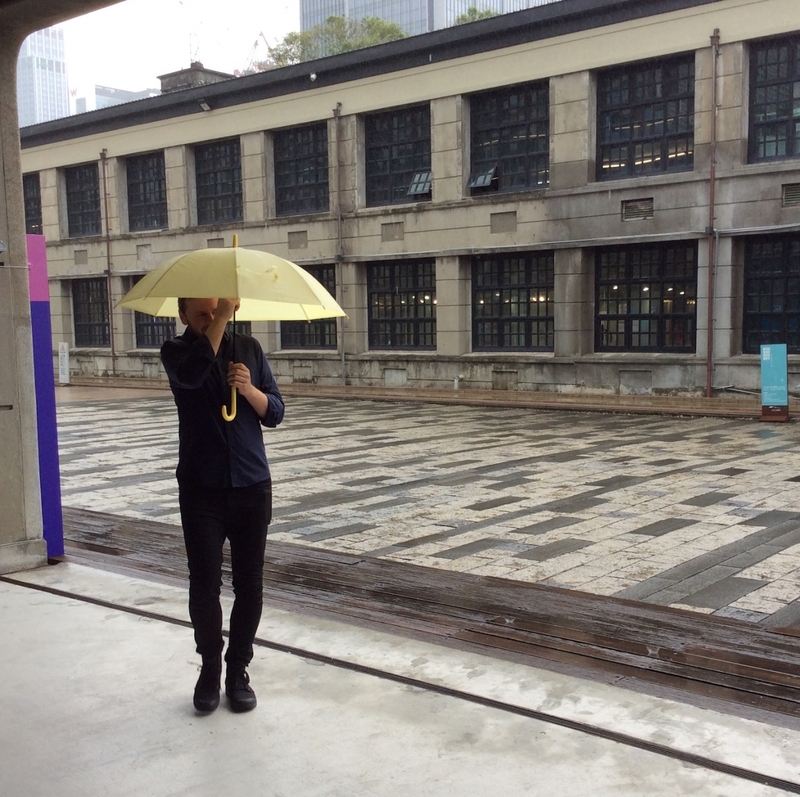 The surprisingly funny designer Klaus Aalto, with what he called a “designer’s umbrella”. Helsinki based start-up Teatime Research was one of the companies making the Helsinki exhibition possible with their knowhow of virtual reality. In the picture one of the co-founders, Interaction Designer Taru Muhonen is setting up the virtual reality gear the day before the opening. With VR one could experience the classes taking place inside the new Kalasatama schooland in the small island nearby. It is situated in one of Helsinki’s new areas and represents the latest solutions in school architecture and technical solutions. The architects of the school are JKMM Architects. Through a satellite event organized by Finpro together with the City of Helsinki and Helsinki Business Hub, a group of Finnish companies used the opportunity to present their knowhow in Taipei in New School Helsinki seminar. School offers a common platform for education solutions as well as things like clean air technology; something that affects the learning results directly, according to the latest studies. During the visit there was also other events taking place, such as the International Design Policy Conference. It was very interesting to hear different mayors and experts from other World Design Capitals to explain their views on design and sharing visions of better cities. They all had a different take on it, but still they were all clearly focusing on people. The Helsinki Mayor Jussi Pajunen left no one cold. He portrayed a city in a biggest transformation of its history and how design is shaping our future. One of the examples was how service design has been used to build the new Central Library of Helsinki. He also introduced a 9-year old Aaro in his new school in Kalasatama on a video Helsinki is my classroom. 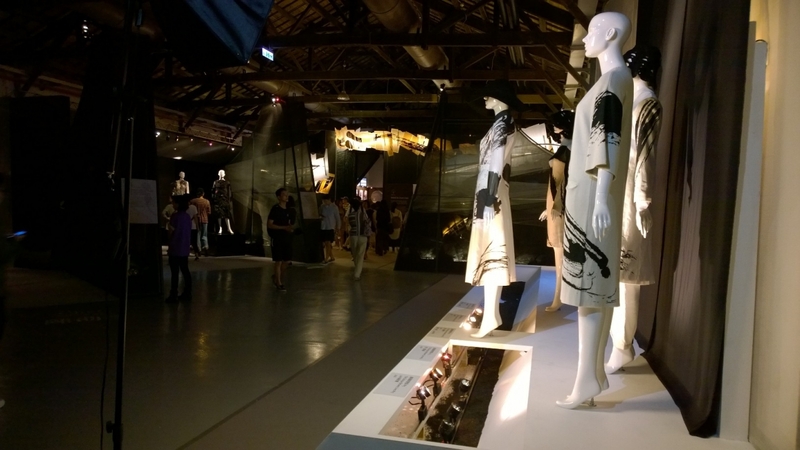 In the other exhibition hall,s an intriguing Taipei was portrayed through graphic design, fashion and products. Some things seemed familiar to me, yet some refreshingly new and different.